What’s your REALTOR® doing? This is a favorite tongue-in-cheek question that Michael uses to call attention to the stark differences among real estate agents. The fact is, change is happening so rapidly in the real estate industry that the majority of agents just can’t keep pace. “They’re either stuck in their old ways, or they’re not willing to put in the effort to harness the advantages of the new tools and technologies”. Michael is a game-changer…he’s always looking for new ways to improve the experience of buying and selling real estate. Michael plays and active role in the development of technology and marketing strategies, including the company’s property search tools, listing syndication networks and selling systems. 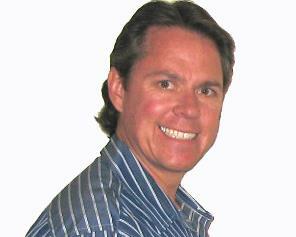 Michael is passionate about real estate and has a great love for Salt Lake City and Park City, Utah. For more than 20 years he’s been canvassing the community for hyper-local knowledge and signs of emerging trends. Michael‘s background is in marketing and communication. He has more than 20 years experience as a manager of marketing campaigns, brands, and communication strategies. He works closely with a network of talented professionals to create effective real estate marketing solutions. Michael’s wife, Denise Druce, is a health and fitness expert (www.denisedruce.com). They live in the East Millcreek area with their three boys: Jackson (13), Bode (8) and Van (6).